The gloves are made up of chain mail of individual interlocked stainless steel rings thus completely retaining the sense of touch while protecting the hands from any injury. The velcro wrist lock holds the gloves tightly to the hand. 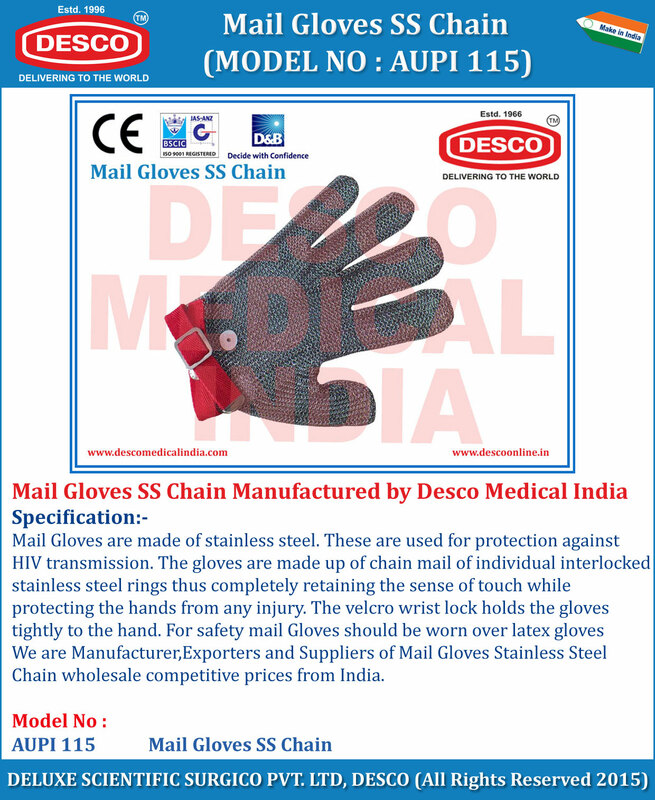 We are Manufacturer,Exporters and Suppliers of Mail Gloves Stainless Steel Chain wholesale competitive prices from India.